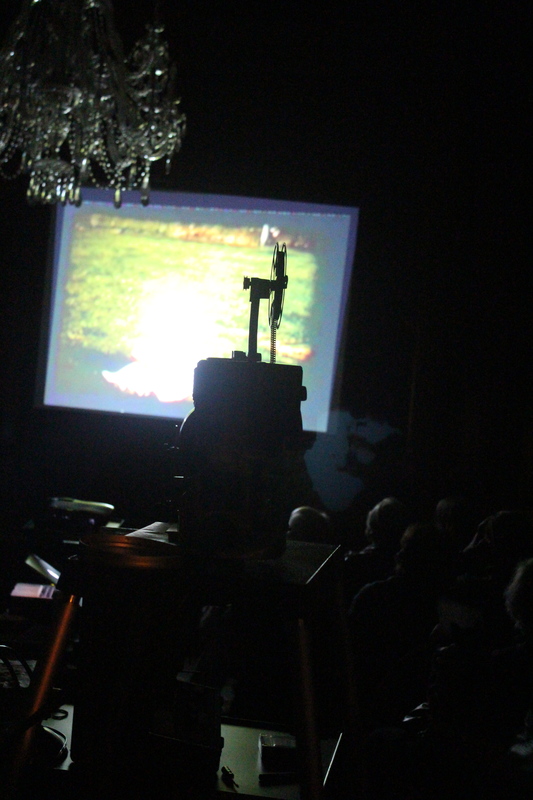 Thanks to everyone who made it out for a successful Home Movie Day last weekend! This year the event was co-hosted by the New England Historic Genealogical Society in Boston’s historic Back Bay neighborhood. 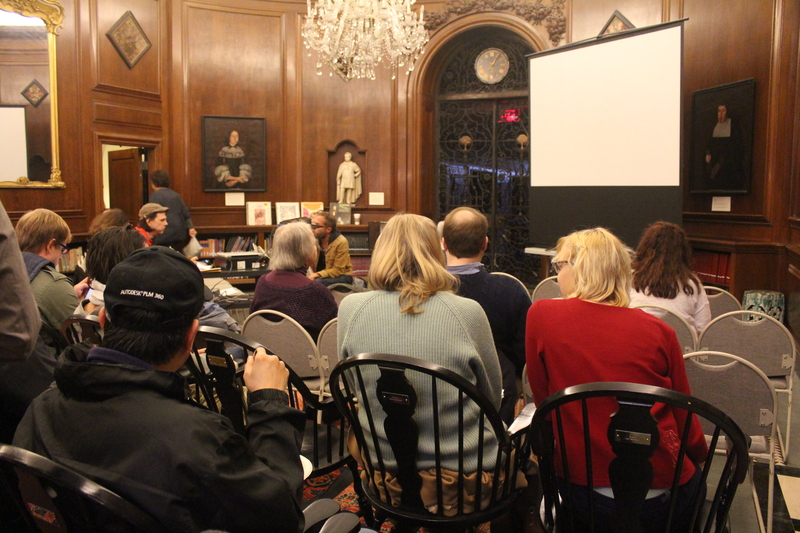 HMD15 Boston was an enjoyable evening of unique films under a crystal chandelier in the elegant NEHGS Reading Room. We topped past participant numbers and had a treasure trove of great material shared among attendees, including beautiful Kodachrome films of Maine, Gloucester and 1960’s downtown Boston with an amazingly small amount of traffic. Below are some highlights from the evening. Be sure to check out more event photos on our Flickr page. A special thank you to our host at NEHGS, Ginevra Morse, and our staff of HMD volunteers: Sara Meyers, Derek Murphy and Adam Schutzman. This entry was posted in HFA events, home movies, New England on October 23, 2015 by conservator3. Here is an update on the Anne Robertson films that have been digitized and are available for loan. We are working on making more available soon! These are generally available as DCP or files. Some are available on DigiBeta for you oldschoolers. As always, please contact the HFA’s Loan Officer for more information. Subways (1976) – 13 min. Going to Work (1981) – 7 min. Locomotion (1981) – 7 min. Magazine Mouth (1983) – 7 min. Depression Focus Please (1984) – 4 min. Talking to Myself (1985) – 3 min. Kafka Kamera (1985) – 3 min. Apologies (1986/1990) – 17 min. My Cat, My Garden, 9/11 (2001) – 6 min. The Five Year Diary explores many aspects of soundtrack. Many reels have synch sound – mag stripe Super 8. Sometimes the soundtrack is spotty, other times it continues for the entire reel. Audio cassettes were used as well, either on their own or in conjunction with SOF (sound on film). Some tapes were used multiple times for many reels. A narration was usually performed live, and several reels have Anne’s audio narration, which she recorded in the 1990s for posterity and so her narrated film could travel without her. It’s been 16 years, and finally the Diary ends, an unintended ending that visits familiar territory. This entry was posted in Anne Robertson, Archivists' pick, Local interest, New England, super 8, women filmmakers on October 13, 2015 by conservator1. This week I’ve been watching some episodes of Anne Robertson’s Five Year Diary with a visiting researcher. It’s been great getting back into this work. There were quite a few exciting finds among reels I’d never seen, including one with a soundtrack recorded during a review at Mass Art. Anne discusses her work with her professors, Saul Levine and a second, as yet unidentified, man. This episode is somewhat early in the work (1983), but the discussion is relevant to the work as a whole. Part of my goal with watching more reels of the Diary is to prioritize reels for digitization. 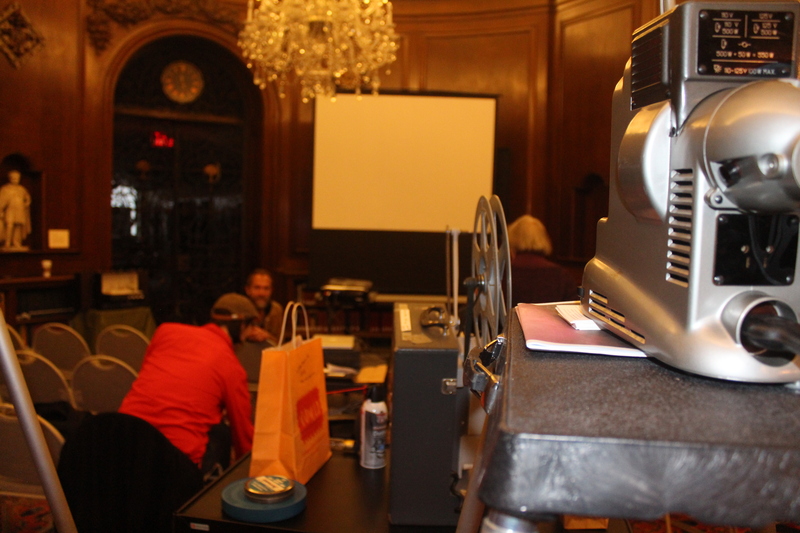 Presently, 8 reels of the work have been digitized and are available for screenings. It is our goal to digitize the entire work; we are prioritizing and hope to have more reels available this fall. The final reel of the Diary (Reel 83, 1997), which was only accidentally so, includes some images that remind me of earlier reels. There is some focus on weight, a theme from the beginning, as well as the family gravestones, holidays, and, as always the moon. I’m going to have to watch the entire work – is there an episode without the moon? The moon and Anne are the constant characters in the film. Anne travels; her companion the moon meets her there. Anne goes through cycles of mental stability; the moon waxes and wanes. The Diary is most obviously a thorough evaluation of the self, but despite Anne’s obsessions about her own body and life, she is also a solid viewer of the natural world. The moon is the face of it, but we see the seasons closely monitored, plant life, the weather. Paradoxically, her romantic obsessions are found on television, and on programs that are anything but celebrations of nature. Here in Cambridge, the summer is drawing to a close. It’s made most obvious by the return of the students, clearly demonstrated by traffic and restaurant crowds, but Anne’s films remind me to look to the trees that are beginning to brown, the flowers that are going to seed, the vegetables that will require harvest before the frost. This entry was posted in Anne Robertson, collection update, New England, super 8, Visiting researchers, women filmmakers on September 1, 2015 by conservator1. This entry was posted in Anne Robertson, ephemera, New England, super 8, women filmmakers on September 24, 2014 by conservator1. Hello. I’ll bet you’ve been wondering which Anne Charlotte Robertson films are available for loan. Here is the list! Apologies (1986) – 17 min. Reel 22 A Short Affair (and) Going Crazy, Aug. 23 – Sept. 1, 1982 – 27 min. Reel 23 A Breakdown and After the Mental Hospital, Sept. 1 – Dec. 13, 1982 – 26 min. Reel 31 Niagara Falls, Aug. 19 – 28, 1983 – 25 min. Reel 80 Emily Died, 1994 – 27 min. Reel 81 Mourning Emily, 1995 – 25 min. Please contact our Loan Officer for more information. Titles are available digitally or on tape. Maybe we will make a box set available at some point. If this is something you would be interested in purchasing, please let us know in the comments so we may gauge interest. This entry was posted in Anne Robertson, New England, women filmmakers on September 12, 2014 by conservator1. Hello! 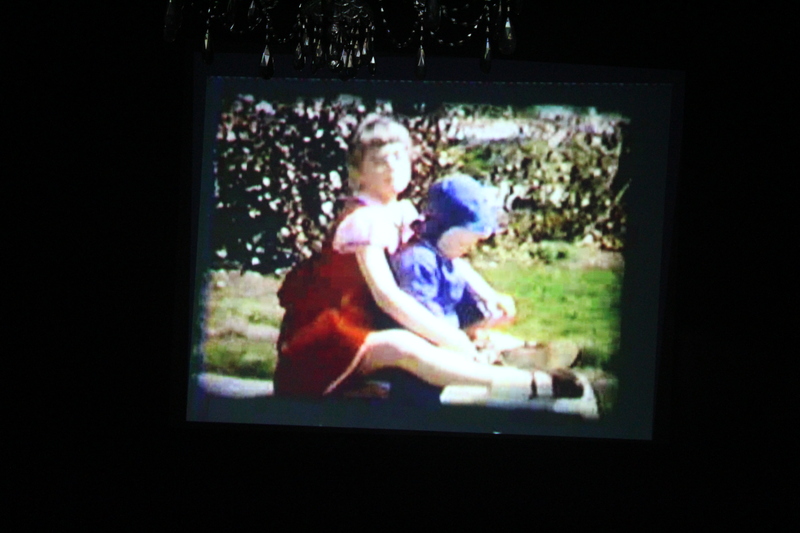 We are processing a collection that includes a lot of home movies, which is very exciting. The person who collected these films bought home movies on ebay and other venues, so their point of origin is sometimes unknown. The home movie in question today seems to have been shot in the vicinity of Keene, NH and points north, ca. 1931. Do you recognize this sculptress or the bust she is working on? I wrote to the Saint-Gaudens national historic site, and they identified the artist. This entry was posted in home movies, New England, sculpture on August 25, 2014 by conservator1.